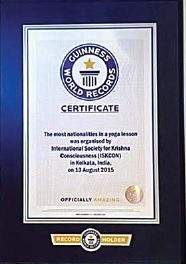 ISKCON has entered into the Guinness Book of World Record for representations from the highest number of countries, 108, in a mega yoga session and musical choir held at the Netaji Indoor stadium on the occasion of Srila Prabhupada journey to the West. Mayapur, WB: With monsoon in West Bengal midway, ISKCON Mayapur campus and the surrounding villages are fully flooded with three feet water. 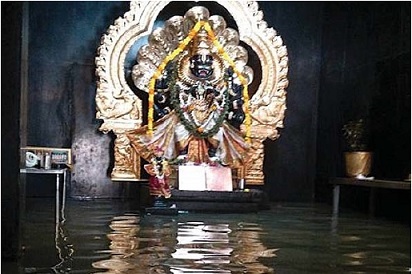 Devotees now are getting around in boats and still continue to attend temple functions and visit the Deities. ISKCON Mayapur is not only trying to take care of the resident devotees, but is making large efforts to distribute food for the inhabitants of the neighboring villages. Over the past few days hot meals and dry food have been provided to about 50,000 villagers in the Mayapur area. Vrindavan, UP: “People go to Vrindavan and their lives change . . . for the better,” says Syama-gopala Dasa (Maksim Varfolomeev), who wrote and directed the 40-minute film Reconnection with his wife Vijaya Radhika Dasi (Olga Avramenko). The film has won an Award of Excellence from the Best Shorts Competition, whose previous winners have gone on to win Oscars and Emmys. Moscow, Russia: There were three days of kirtanas that lasted late into the night. Hundreds of guests, participants and volunteers, Bhakti Bhrnga Govinda Swami and his international team, participated in this event. The kirtana was dedicated to Kurma-rupa Dasa, who was leaving his body at that moment in Vrindavan. 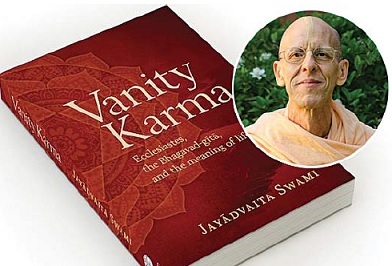 In his new book Vanity Karma: Ecclesiastes, the Bhagavad-gita, and the Search for the Meaning of Life, ISKCON guru and BBT trustee Jayadvaita Swami explores the works that set him on his spiritual path in the hopes that they may help others on theirs. Penang, Malaysia: A permanent art gallery entitled “Walking with Srila Prabhupada – The Path of Perfection” is set to open on August 30th in Malaysia in honor of the 50th anniversary of the ISKCON Founder’s arrival in the U.S. The gallery will open the day after the longawaited second and third phases of Penang State’s Temple of Devotion and Understanding, which was first envisioned by Srila Prabhupada himself during a 1971 visit. Kisumu, Kenya: The city celebrated its annual Ratha-yatra on July 18th, coinciding with the Puri Ratha-yatra and Id-Ul-Fitr (a local holiday). Taking advantage of the auspicious date, the Kisumu devotees organized the festival in less than a week. Detroit, Michigan, USA: ISKCON celebrated its 30th annual Ratha-yatra here on July 19th with its largest attendance ever – an estimated 10,000 visitors. US Congressman David Trott joined the Opening Ceremonies as Honorary Chief Guest. Vrindavan, UP: On July 30, Srila Prabhupada disciple Surabhir Abhipalayantam Dasa, who was the design coordinator for ISKCON’s flagship Indian temples in Vrindavan, UP, and Juhu, Mumbai, in the 1970s, has passed away. He left due to liver cancer in the sacred land of Vrindavan, surrounded by devotees chanting along to a recording of Srila Prabhupada’s kirtana. Mayapur, WB: In a recently held tribal convention in Mayapur, His Excellency Mr. Padmanabha Balakrishna Acharya (the Governor of Assam, Nagaland, Tripura) was the chief guest. 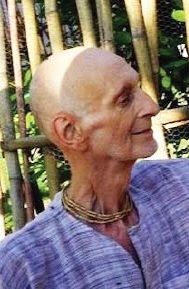 He had played an instrumental role by assisting Srila Prabhupada in the early days of the movement. Also present were: Mr. Sudarshan Bhagat (Minister of State for Rural Development, Govt. of India), Mr. Ujjala Viswasa (State Minister for Technical Education, Govt. of West Bengal), Col. Deoshehe Y. Sema (Ex. Minister of Nagaland), Mr. Singha Roy (Sikhya-ratna) and Mr. Vikash Bhatacharya (Additional Public Prosecutor). 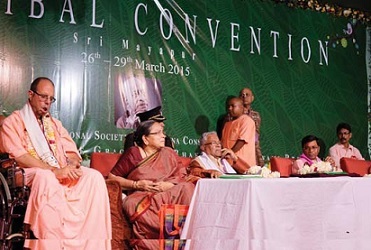 His Holiness Jayapataka Swami Maharaja and his sannyasi disciples were also present, and he spoke of how the tribal people are very dear to Krñëa. Currently chief coordinator Sridham Govinda Dasa goes to every town and village of eastern and north-eastern India to share the message of the Bhagavad-gita with the tribal community.